Years ahead of her time, Florence Broadhurst created hundreds of beautiful hand screen printed wallpapers and textiles. These were unique and luxurious patterns with rich and vibrant colours, perfectly reflecting Florence’s flamboyant personality and style. Born in rural Australia in 1899, Florence lived a life of mystery, eccentricity and fame. During the 1920’s Florence performed professionally on stage in Asia and India. 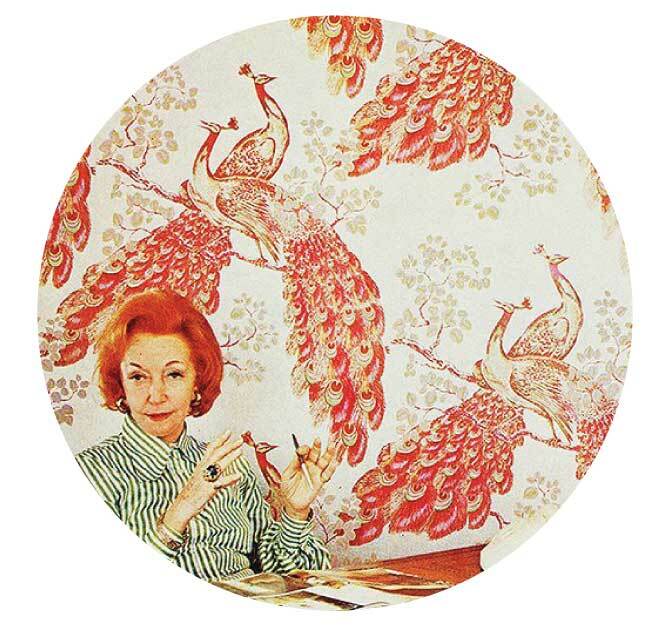 Reinventing herself in England during the 1930’s, Florence started her internationally successful wallpaper company in Australia in 1959. Any of these designs can be printed onto any of our base cloths, print compatible fabrics or commercial wall vinyls with no minimum order quantity. Please note that designs are not shown to scale and the repeat details do vary from furnishing textiles to wall coverings. Read more about Florence Broadhurst and the relationship with Materialised over in our blog.